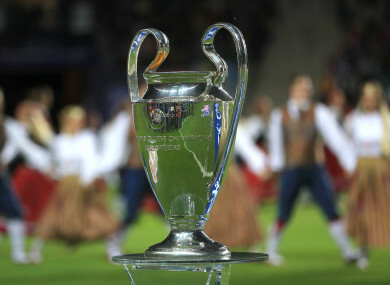 The Champions League trophy (file pic). THE LINE-UP for the Champions League quarter-finals is complete, after Wednesday night saw Liverpool and Barcelona progress at the expense of Bayern Munich and Lyon. With heavyweights Real Madrid and PSG having been dumped out in the round of 16, the last eight has a particularly intriguing look this year. All four Premier League teams are still in the competition and unlike in the previous round, they could potentially played each other in the quarters. In addition, there are four other sides each from different countries, with Barcelona and Juventus among the favourites to triumph. With that in mind, who do you think will prevail ultimately? - Draw for quarter-finals and semi-finals will be held on Friday from 1100 GMT. Email “Which of these 8 teams do you think will win the Champions League?”. Feedback on “Which of these 8 teams do you think will win the Champions League?”.